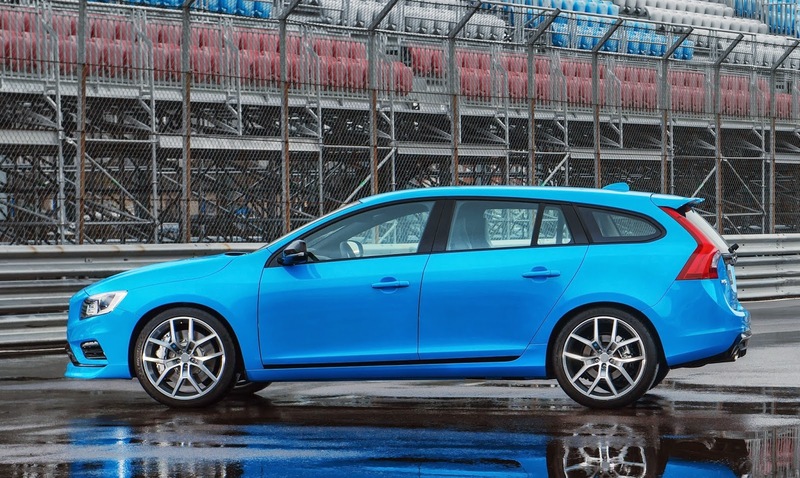 This is the Volvo V60 Engineered by Polestar and it'll be available from June 2014. Polestar used to be Volvo's racing operation but now they're a fully fledged in-house tuning company and this will be the first mainstream product of their work. 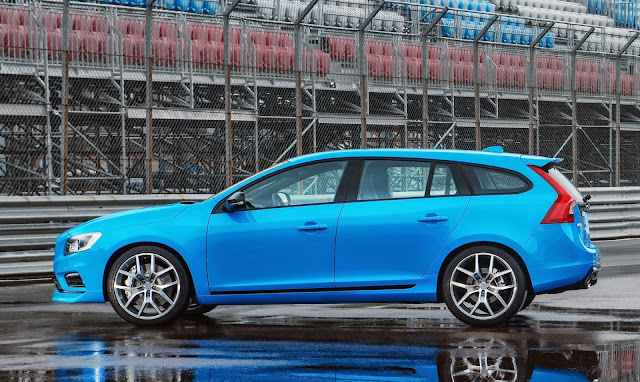 The V60 Polestar takes a V60 estate chassis (already a good car) and adds four wheel drive, a more rigid chassis, 80% stiffer springs, Öhlins shocks, 371mm 6-pot Brembo brakes, aerodynamics, 20" Polestar wheels, a unique interior and a tuned T6 engine. 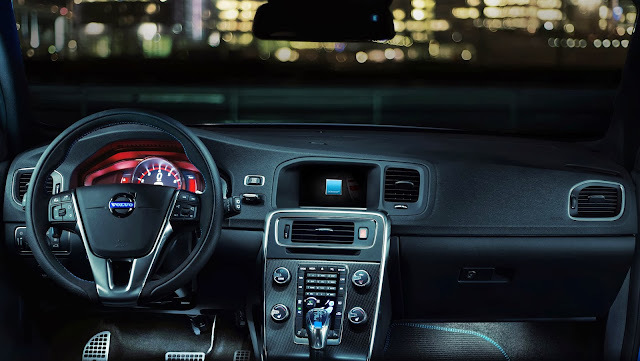 The engine develops 350hp and 369lb ft of torque. It gets a new twin-scroll turbo and a 2.5 inch stainless steel exhaust. 0-62 mph takes 4.9 seconds. 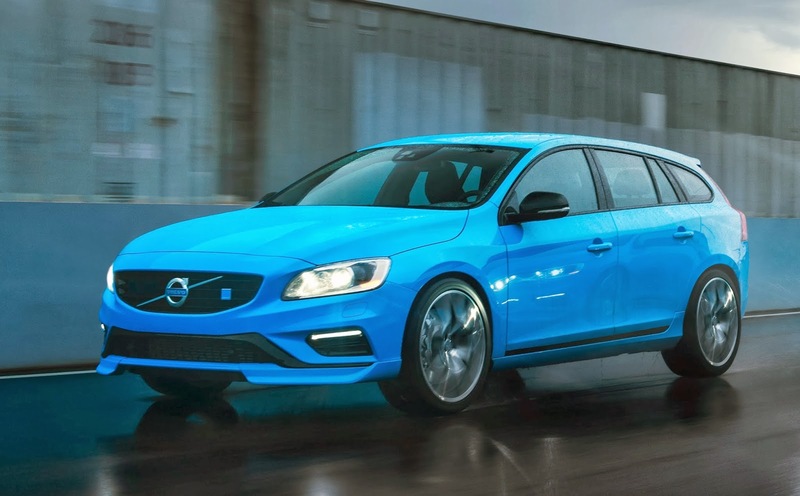 Polestar knows how to turn normal Volvos into fast cars. I took a passenger ride up the Goodwood Hill in the Polestar S60 concept. 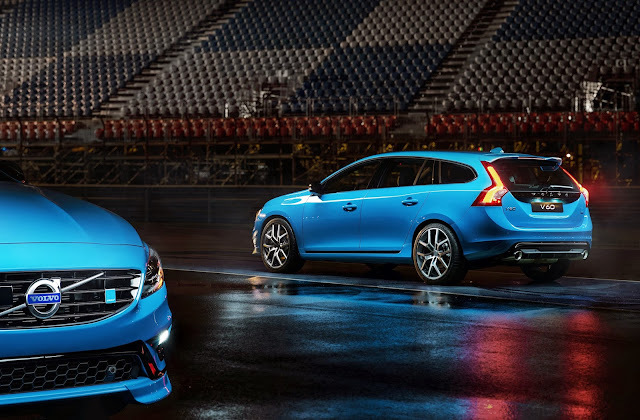 The driver was one of the development team who worked on the new V60 Polestar. Expect further Polestar versions of Volvo models.